Our three-day itinerary lets you circle the Big Island. The first one and a half day of this itinerary are the same as our two-day itinerary. After that, you will spend your extra night on the Hilo side of the Island, and drive back over the stunning Hamakua coast. The ‘circle island tour’ is very ambitious for a 3-day itinerary and involves a lot of driving. If you’d rather take it easy, you can split your time between Kona and Volcano Village (1 night each). That itinerary allows you to spend more time out of your car (“on the beach”), but you would have to seriously consider coming back to the Big Island in the future to see all the things you missed this time. 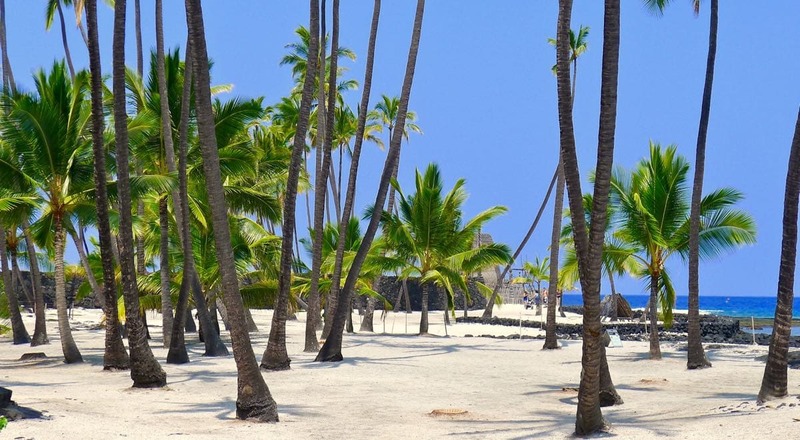 If you visit the Big Island for three days (two nights), pick up a car at one of the car rental offices on the Kona Airport, and get ready to fill your first day with outdoor activities around Kailua-Kona, and stay on the coast to enjoy the sunset. After you pick up your car, drive down Highway 11 and explore the village of Kona. Then drive further south to explore some of the beautiful west coast beaches. Stop at Kealakekua bay for some snorkeling and to check out the James Cook Monument, and then get back in your car and drive 4 miles south to Puʻuhonua O Hōnaunau (also known as the city of refuge or Honaunau bay). This is the favorite snorkeling spot for many locals and was named “One of America’s best beaches 2004” by the Travel Chanel. Pick up some food and stay here to see the sun dip into the ocean. Then, drive out to Volcano Village to spend the night there in a cozy vacation rental close to the Hawaii Volcanoes National Park. (make sure to book your accommodation in advance, since you will arrive late in Volcano Village. Have a look here for your options). 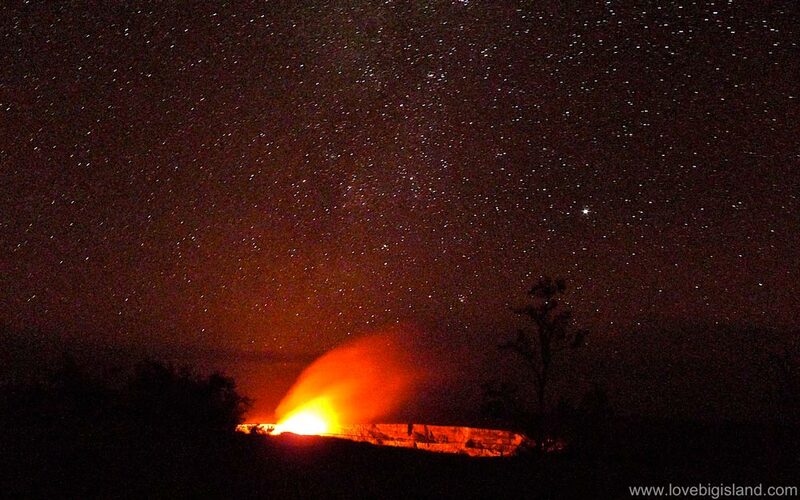 If you feel still strong after you check in to your place, drive the few miles to the Jaggar Museum in the Hawaii Volcanoes National Park to finish your first day by seeing the glow of the Kilauea Volcano under the stars. Get up early the following morning and drive to the national park. Check in at the Visitor center to get an update on the weather and lava viewing conditions, and spend your day till early afternoon exploring the lava tubes, sulfur banks and steaming calderas of the park. Then, drive down Highway 11 towards Hilo, and take the exit to highway 130 at Kea’au.This highway takes you into Puna, where you can explore the Lava Tree State Park and many picturesque roads. For an early dinner, go to the quaint town of Pahoa. If your flight leaves the island late, we heavily recommend that you also hike out to the lava to see it up-close and personal! (click here for our information and safety tips on lava viewing). From Pahoa it is a short (<45 min) drive to the parking at the lava viewing area. Make sure you arrive early enough to hike to the ocean entry (if there is one) to see the sunset! Afterward, pick an intimate Bed and Breakfast or Vacation rental to spend the night in Pahoa or Hilo. Start your day with breakfast on the Hilo Boulevard while watching the sunrise over the Ocean. Take a little stroll along the shops at the boulevard and/or visit the Tsunami Museum and the Farmers Market. Then get in your car and drive north over highway 19 via the rainbow falls to the Hamakua Coast. This coast itself can easily keep you busy for a full day (click here to read more information on how to spend a full day on the Hamakua coast), but since this is your last day on the island, you have to take some shortcuts. Stop at either (or both) the ‘Akaka Falls state Park to see the most famous waterfall of Hawaii, or the World Botanical Gardens for a short hike through lush fern forests to stunning waterfalls that ends at the multi-tiered Umauma falls. Then drive further north to Honoka’a Town. This former sugar town has an interesting collection of shops and galleries and is a great place to grab some food. 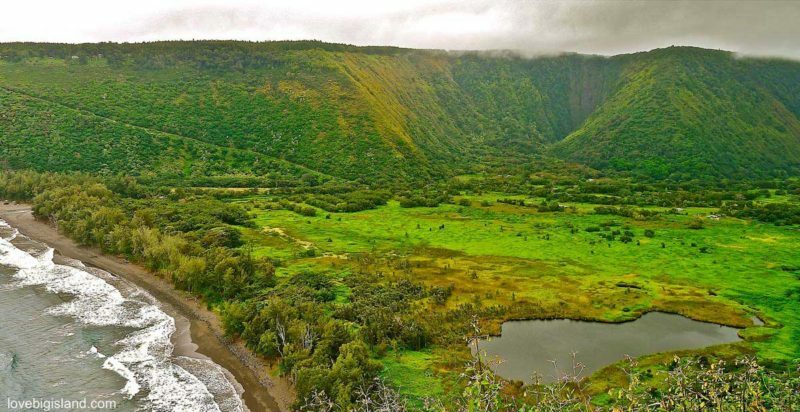 From Here, it is a short drive to the Waipi’o Valley overlook at the end of Highway 240. This will give you a stunning view of the “Valley of Kings” and shouldn’t be missed! Afterward, get back in your car and drive back to the airport. If you don’t leave the island late at night, you may want to skip exploring Honoka’a town.